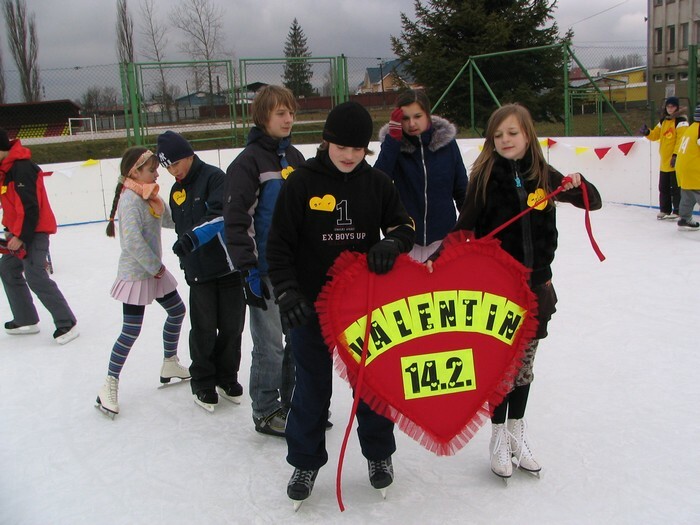 The Valentinska ladova show was organized for the first time on 14th of February 2008 on the ice-rink next to the soccer field. Its organized for the basic schools from Stara Lubovna, for the oldest students from 13-15 years old. In each team are three girls and three boys. There are different disciplines on the ice, for example, icehockey, penalties and slalom where the boy has to lead the girl around a circuit. The school and the best couple boy/girl receives a certificate.